I went Fabric Shopping today! This warrants capital letters because I don’t often shop for fabric, and I don’t stash. With a single notable exception (stable striped knits in natural fibers with a hint of lycra), I don’t buy fabric without an Intent. Since my most recent Fabric Shopping event back in February, I dutifully shunned The Fabric Store. It helps that TFS is all the way on the other side of the city. Last week, I went looking for some red velvet for an upcoming project. *cough cough It’s called Red Velvet cough cough* I found this at Spotlight. It is 90% polyester and 10% spandex. As a rule, I don’t work with polyester, but I’m willing to keep an open mind and challenge myself. This was rather expensive dancewear velvet. It’s 4 way stretch and because it’s intended for dance I assumed I could shove it in my washing machine with impunity. 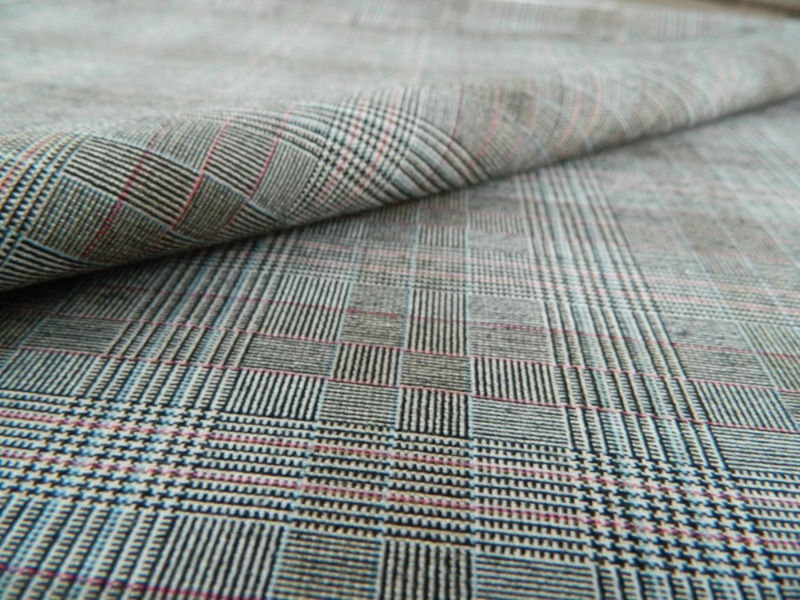 This fabric is beautifully bulletproof, with great drape and body. I washed this on warm with reds. I left it overnight because I’m lazy and forgetful, and then left it on the line for two days for a similar reason. I expected expensive dancewear fabric to stand up to this kind of abuse*. I was not disappointed. 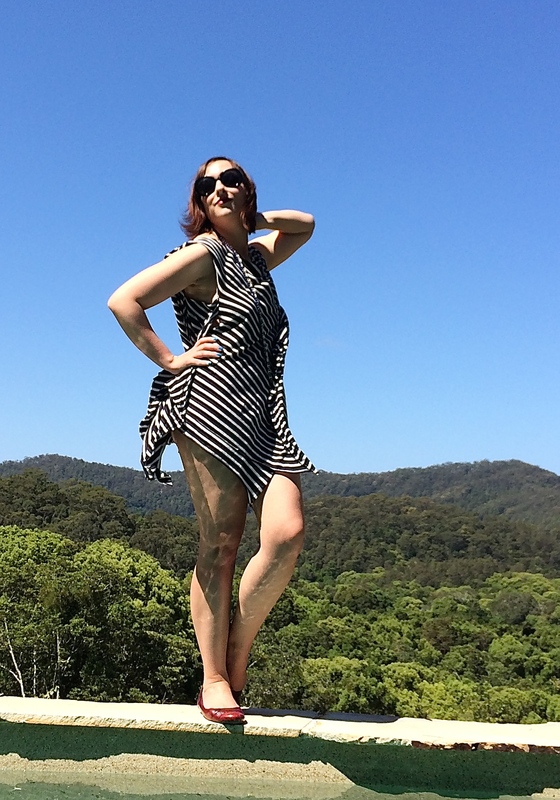 I have the idea I want to make an indestructible cocktail dress. Because. 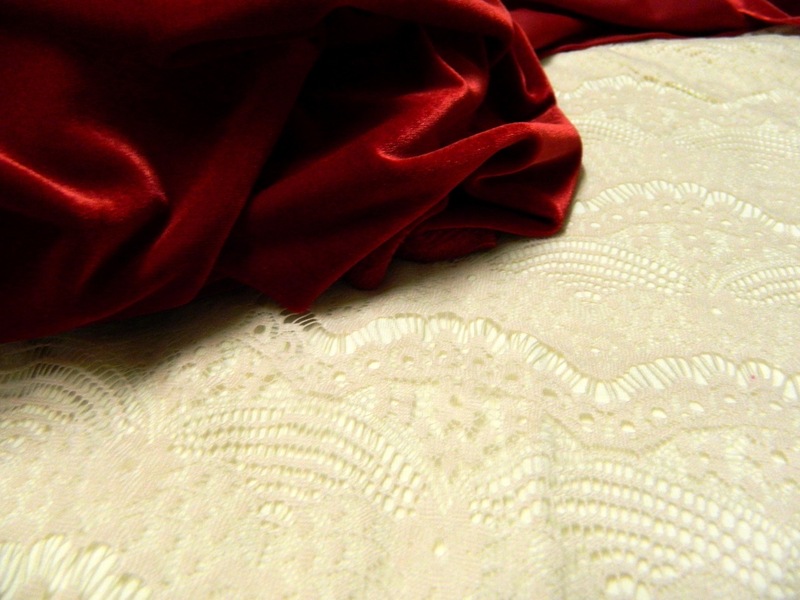 I had almost given up on finding a beautiful stretch lace to go with my red velvet. I kept finding clumpy, glumpy, gross stretch lace in bright white. I wanted something slinky and smooth and classy in a pale red. Not pink, but a pale red. I’d given up the search when I spotted this nylon lace today at TFS! 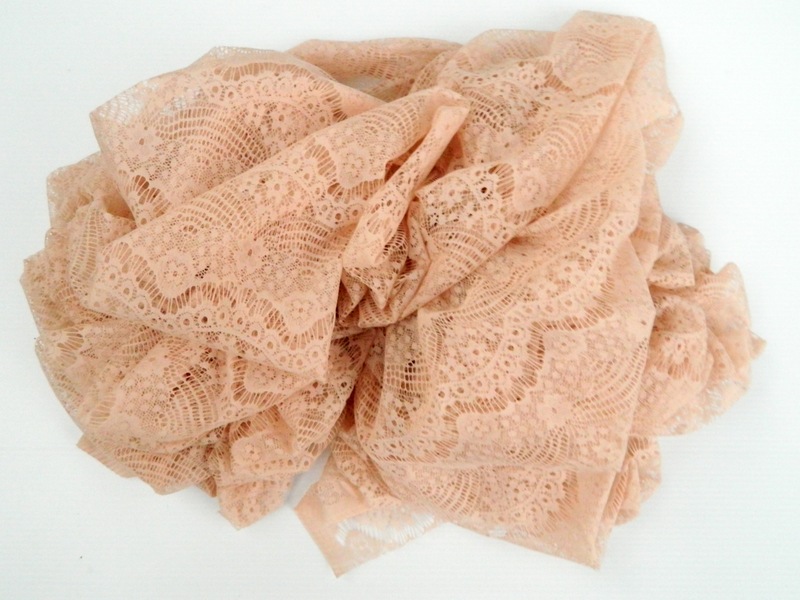 This lace will be underlined with a creamy organic cotton jersey. My husband has been pestering me for new clothes for a few months. I made the odd shirt and shorts for him, but I’ve also been squirreling away fabrics for when I roll up my sleeves to create a core wardrobe for him. The the other day I cut a few pairs of shorts for him and we audited “his” fabrics. Most of them were plain colored twills for bottoms in shades of brown. I picked this up for him today, to break up the plain shorts and pants in his near future. It’s a closely woven viscose, polyester and lycra blend and also feels beautifully bulletproof. I kinda hoped he’d dismiss the fabric, allowing me to swoop in and claim it. Nope, he likes it. 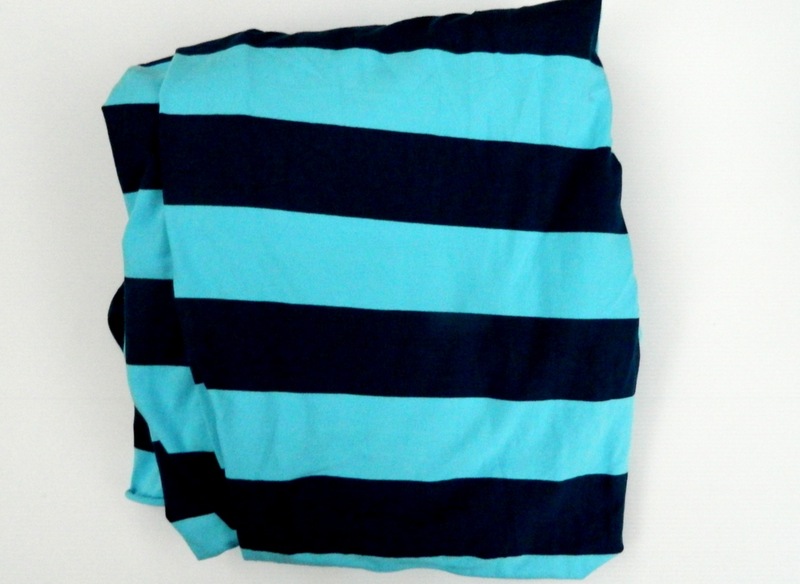 Here we have a lightweight striped jersey with a 5% lycra content. I like a little Lycra in my knits, it helps the garment keep its shape and last longer. 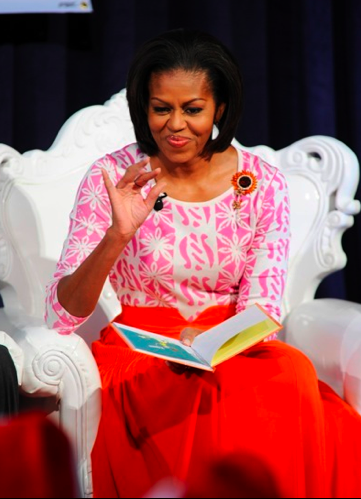 Though the fabrics don’t “match,” I do think they coordinate well. And that’s how I shop for fabrics! Which do you like best? I can’t decide, I really can’t. Em at Tumble Weeds in the Wind recently interviewed me for Stashbusting. She asked some interesting questions! The first part will be live on her blog in the next day or so, do check it out. 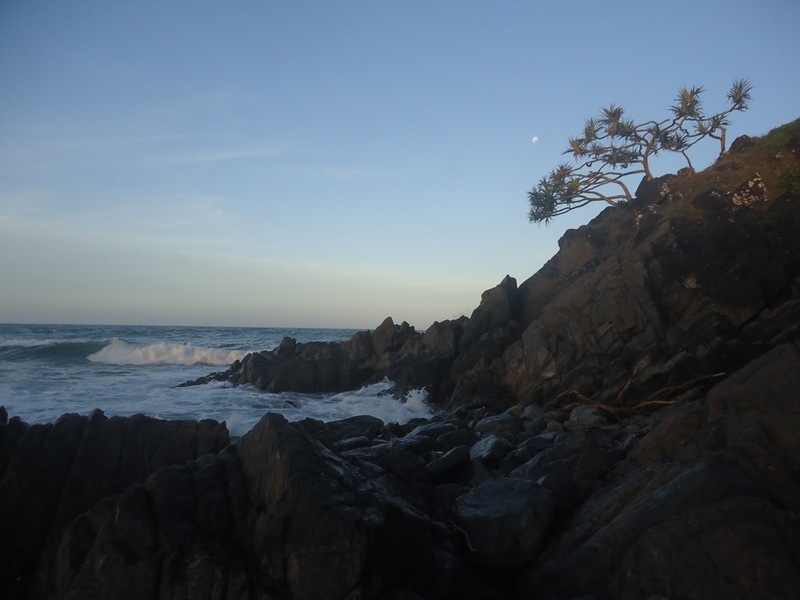 This past weekend, my family and I left Brisbane in the rear view window and headed to “our” beach, Cabarita. All this month, storms battered the dunes and stirred up the reefs just offshore. It’s an interesting process that destroys part of the ecosystem, but also can free up resources for other species to thrive which enhances the biodiversity of the reef in the long term. February kicked off with cyclonic storm winds (cyclone= hurricane that rotates clockwise) and has been mostly rainy and stormy ever since. Bad luck for some misplaced reef life, but it makes for very interesting beachcombing. 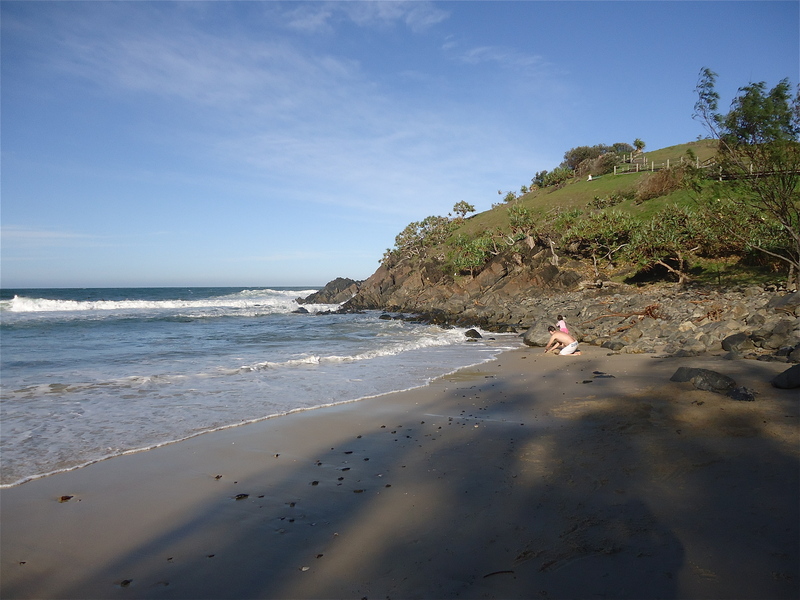 …building sandcastles, swimming, and seeking hidden treasure. During high storms, the wind and tidal surge push the waves over the rocks, leaving all manner of interesting flotsam and jetsam behind. We found a wide range of sponges and corals, ripped from the seafloor. I spent a long time looking at this hard sponge, and now I wish I’d brought it home with me! We also found some of the nicest shells I’ve ever seen in nature! 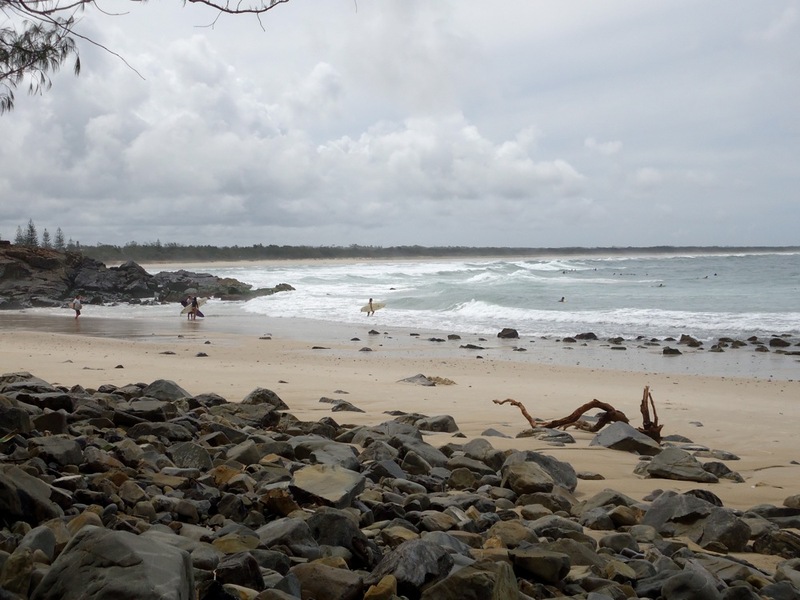 Cabarita was crawling with surfers of all ages, too. We went to Stephen’s parents home for the night, feasted on Vietnamese food, slept late and then spent the next afternoon doing it all over again. 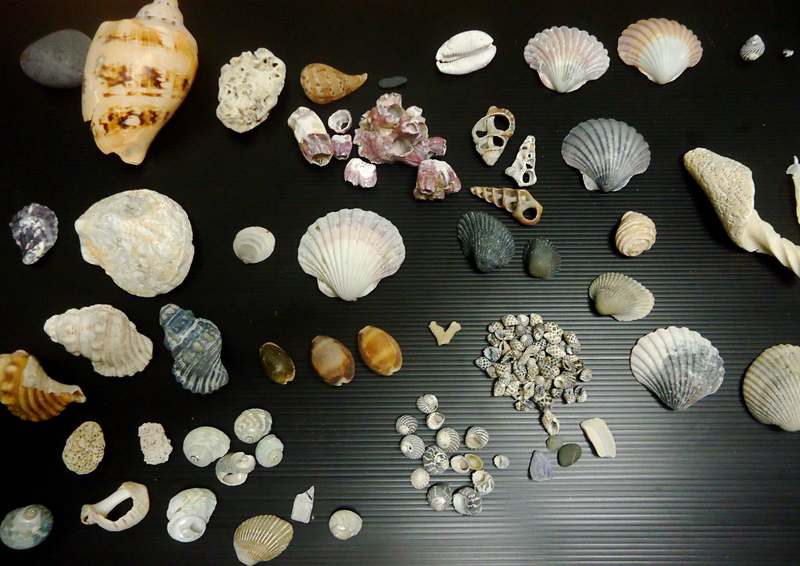 It didn’t get boring, in fact we all became rather like Gollum over our shell finds. We’d been a little edgy all week, and it was nice to be out together with no worries. And check out our haul! I love the barnacles, to me they look like sea dragon molars. I’ll probably put these on the table in a bowl, maybe the larger ones will go on our “interesting dead things” shelf. What’s your favorite thing to do on a weekend? The thing you wish you could do every weekend, but only manage every so often? 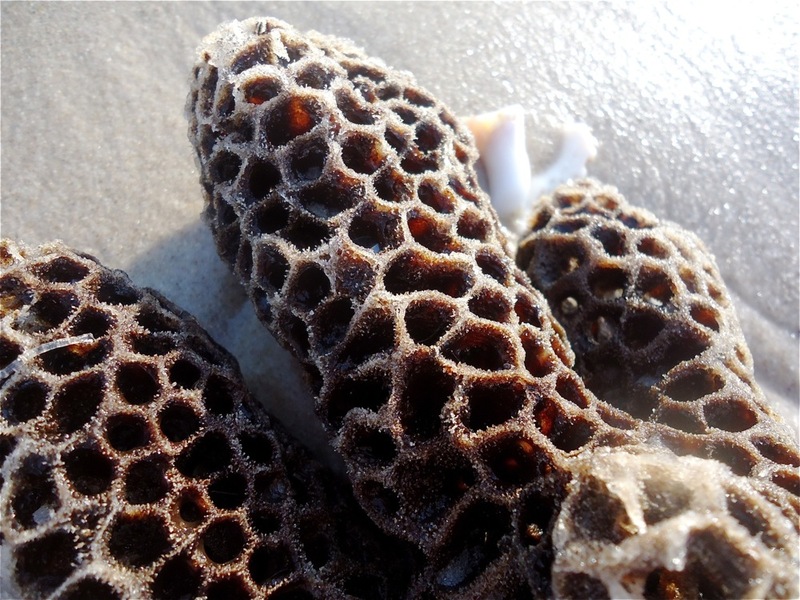 Do you ever go “treasure hunting” for shells, rocks, plants or wildlife sightings? Thanks for the link, Emily. Hey Kate! I wasn’t completely clear- OCC is an American brand. 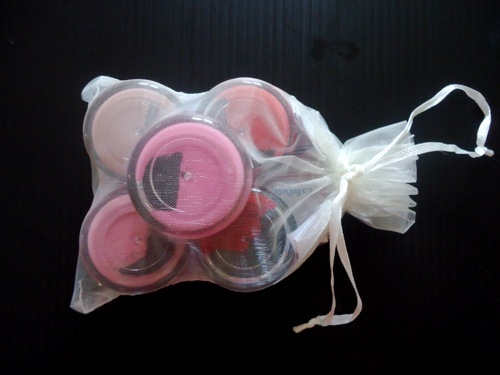 But VeganBeauty.com.au is an excellent Aussie retailer! If you two ladies would please email me your addresses and your palette preferences, I’ll drop those in the post to you! During the Shipping Season as you’re all receiving your Pavlova Wrap Top & Skirt pattern, I’ll be releasing a series of drafting and techniques tutorials tailored to the Pavlova Separates. 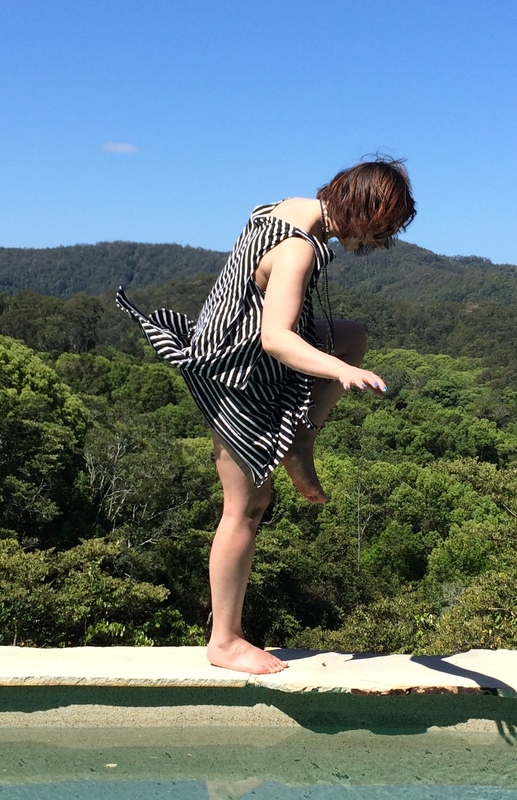 Circle skirts are a very versatile shape- easy to sew, fun to play with. In keeping with the off-duty ballerina flavor of the pattern, I thought I’d call these the 5 Positions. very lazy, linked to my pinboard. click for path to source. How cute is this? I love rainy days, and we could add in some pretty raindrops, too. Or. Some kind of bedazzler? Why not? Plain diamonds appliqued around the hem might work. And tassels, so mischievous. 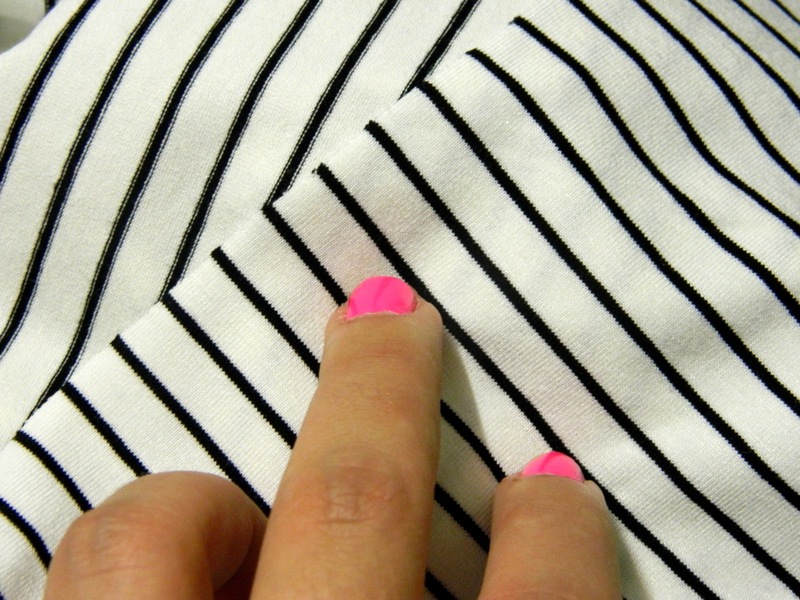 Without them, it could be a cool graphic way to show off a neato printed fabric. I noticed this applique for birds and a cage last year, and the idea has been following me around ever since…. Vote as many times as you like before the end of this week. Then I’ll get to work on that applique tutorial! Last Christmas I came into a bit of money- my grandfather in law is generous around the holidays. I always sit and think hard- what is a good gift from an older gentleman to a younger woman in the family? This year, I chose a smart new shoulder bag. I must have a large bag to carry around my files and samples and the international post. I don’t drive, opting instead to avail myself of Brisbane’s excellent public transit services. My travel habits demand a good, solid bag. 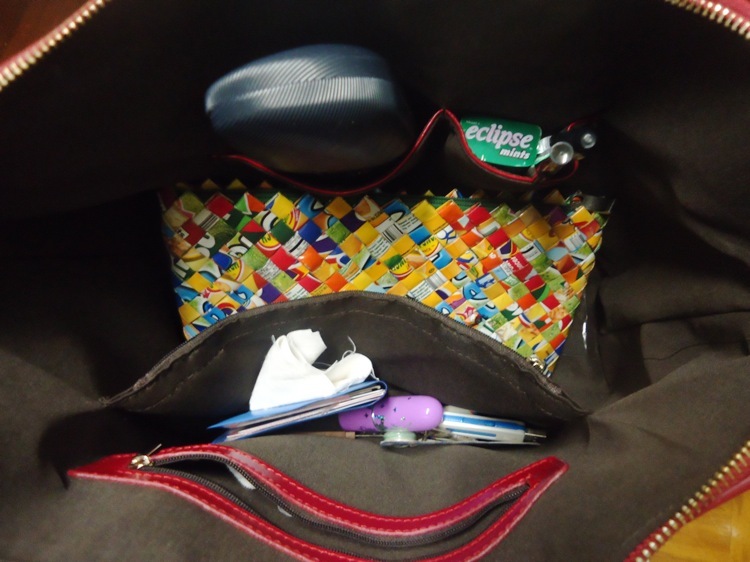 This bag has so many pockets I can keep a mini-desk inside! There’s plenty of room for my laptop, or dolly samples, or fabric, too! Excellent stitching, very durable I should think. I know it’s a no-no, but I definitely wear my bag like this when I’m hiking across the City center… Do you recognize my silk-cotton cummerbund belt? And the Pavlova skirt? Wear them all. the. time. The red works for me because it’s a core color in my wardrobe. More than half my makes are black, white, navy or red. 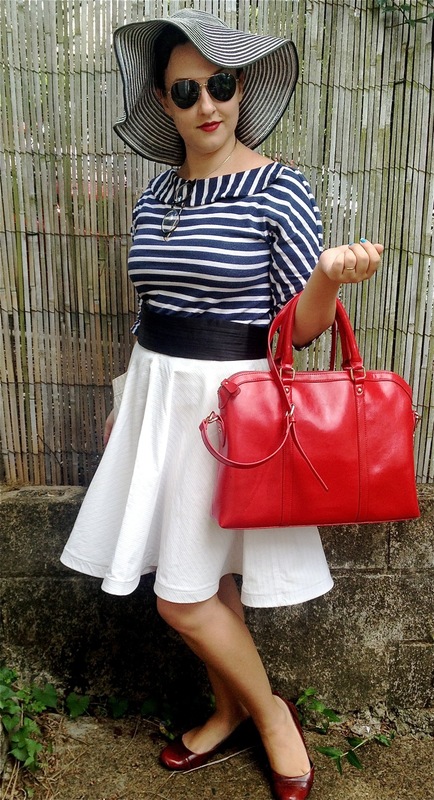 Here, I’m pairing the shoulder bag with my sensible red leather ballet flats. Tell me- is it permissible to wear two shades of red or is that simply not done? For me, this bag is a little more than a carrying case. I’ve been schlepping Cake work all over Brisbane in a clean and smart canvas bag. This new bag makes me feel more “together”- like a professional working lady. What’s your everyday/work bag like? *No one asked me to write this post, I’m just happy with my boss new bag and wanted to show her to you! I have this pattern and a favorite black dress made from it. Very sharp. Dickeys are common enough in vintage sewing, in fact several of my favorite dresses feature dickeys. 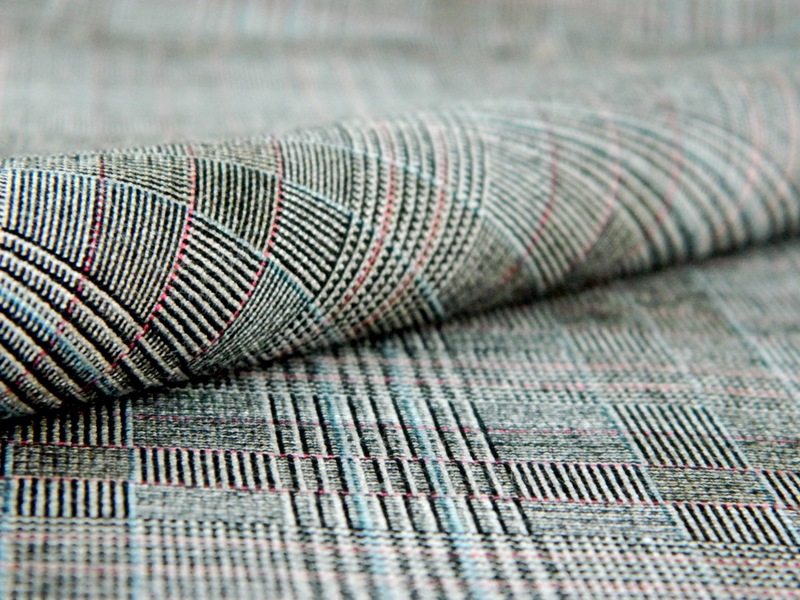 A dickey uses very little fabric, and even when the entire thing is hand-sewn it takes little time to create. It’s a small way to add interesting detail to an otherwise simple cut (or go nuts on the cut and throw in a dickey! that works too!). 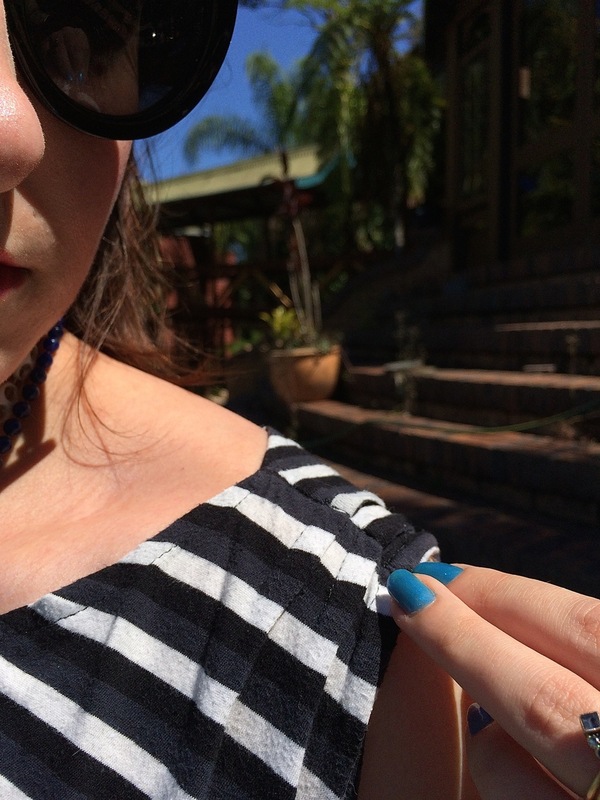 It’s also a great way to use a pretty piece of fabric that might not work for an entire garment. Butterick 5826; ca. 1951; One-Piece Tailored Dress: Bias Bodice. Wonderfully slim dress that will do just the right things for you. Horseshoe neckline bodice teams with a wing-collared dickey which contrasts the dress in (A). Contrast cuffs on three-quarter sleeves (A). Long sleeves (B). I love this description, especially the phrase “horseshoe neckline..teams with a wing-collared dickey.” I prefer “horseshoe” to “u-shaped,” don’t you? Winged collars are easy to sew and look enchanting. This dickey-bodice combination is a little wider, and looks heavily pintucked. 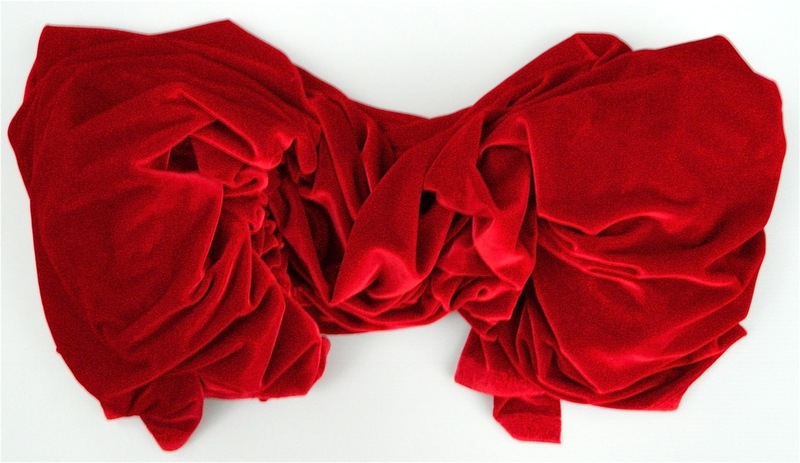 I like pintucking, myself, but I think a plain or even a lace piece could look quite pretty. I’m also fuller up top, and can say from experience that anything to break up the bulk without adding to it works really well on my figure. These envelope ladies are a bit slimmer, but it still looks nice. Advance 5605 carries on the pleated-dickey-tux vibe, with the inclusion of some shaped lapels. A dickey paired with this type of collar was super popular in vintage patterns from the late 40’s to mid 50’s. I don’t love them, but don’t hate them either. What do you think? 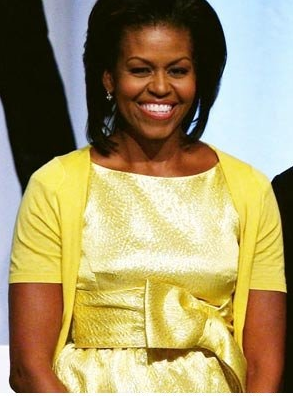 At first glance, this horseshoe-neckline-dickey might also seem unsuitable for day wear. But strip off the gloves, fancy fabrics and accessories. 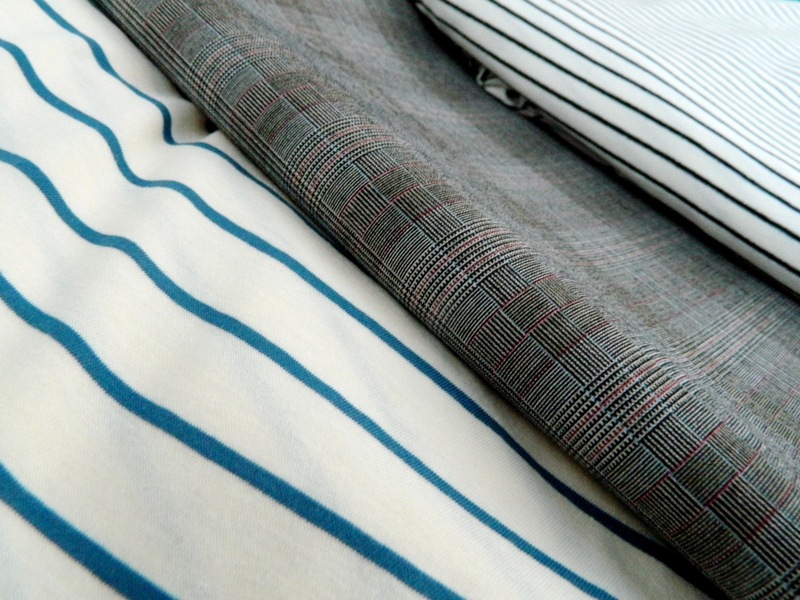 Imagine a very lightweight dickey fabric and a simple, secure edging. Can you see it? Do you like it? 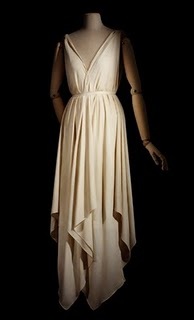 This dress (another Advance, I love their work) shows that the neckline works both with and without its dickey. This dickey, like many others, is completely detachable. I assume with snaps sewn to the inner neckline. The cuffs are also detachable. I did this on my McCalls 3370 (pictured above at the top of this post, pre-blog) and it worked pretty well, though it took extra time to dress in the morning. In fact, dickies under other names have been around for centuries. I well remember making Elizabethan partlets for historical re-enactments and theatre. Click here for an interesting read on men and women wearing dicki- I mean, partlets through history. A close relative to the dickey is the bib-front. As far as I can ascertain, the difference between a bib and a dickey is both depth and detachability. Perhaps bibs should also be made of a similar fabric as the rest of the blouse, while dickeys are intended to replicate a layering effect? This is a modern bib-front-dickey-peter-pan-collar-lace-and-rickrack thing. Despite myself, I find it rather charming. Perhaps green with a white contrast and pink accent, or any shirt color other than that despondent plum. What do you think? Have you worn/sewn dickeys before? Did you like them? How do you like the Horseshoe Neckline? For a look at more of my recent inspiration images, check out my pinboard. Plans for 2013 Pt 1- 3 Hours Past and Cake and a Survey! 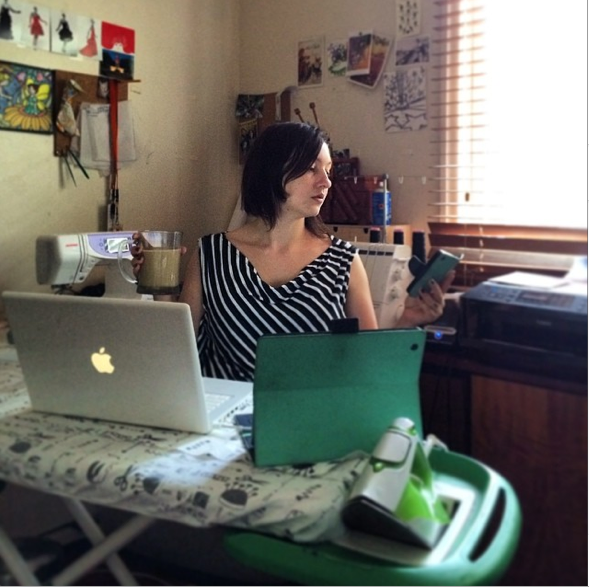 2012 was chaotic for me on the blogging and website-building front. I was learning constantly, testing new ideas and mediums, and figuring out how to put everything together all at one time. I think that shows in the blogging. 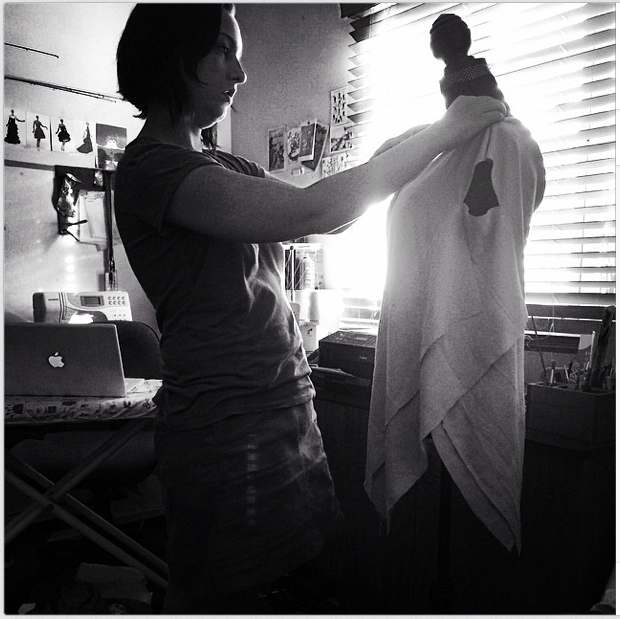 Sometime in the last few months I realized I’m not really a “social” sewing blogger anymore, but I’m not really a “pro” blogger either. Where does that leave 3 Hours Past? Sewingcake.com will be the place I write tutorials, post videos, run sewalongs and other events, and showcase Cake Patterns. 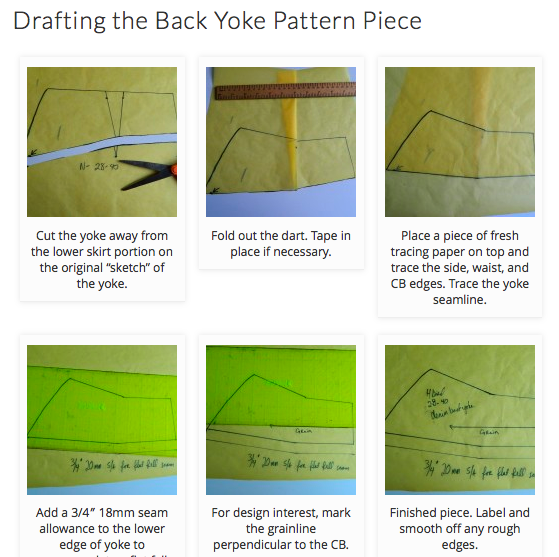 The idea behind the sewingcake setup is that over time, as I fill in more tutorials and support for the patterns, the front page will become a “living” visual reference. (always wanted to do that with 3HoursPast…) I also want to make good use of the social media tools that many of us use to connect and share inspiration- primarily flickr and pinterest. Tiramisu is making wavelets through the blogs and PR as more of you get a chance to sit down and stitch with me through Cake Patterns. I love it! Keep up the good work! Pavlova’s pre-sale and Circus came and went just before Xmas, and she should ship in February. Words can not express how much easier and smoother the production process was compared to Tiramisu, and I’m really looking forward to you all having your Pavlovas. Around shipping time, I’ll introduce you to a Cake concept that’s been brewing for a few months: “collabvertisements.” I shipped a pretty winter wool set of Pavlova separates (the gray and ivory) to a certain historical shoe designer who has a beautiful T-strap style coming out shortly… She’ll style and shoot the photos herself- her shoes with my samples. 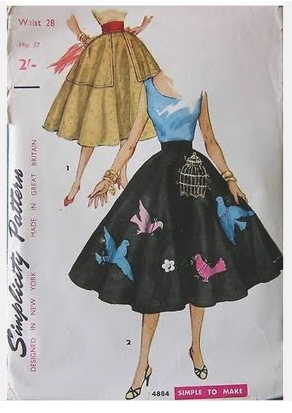 I’ll also be rolling out my “5 Positions of the Pavlova Skirt” blitz- 5 distinctive skirts made from the same simple Pavlova Skirt pattern pieces. Oh yes! Hummingbird is named after my favorite layer cake, and it’s all about work clothes for professional women. 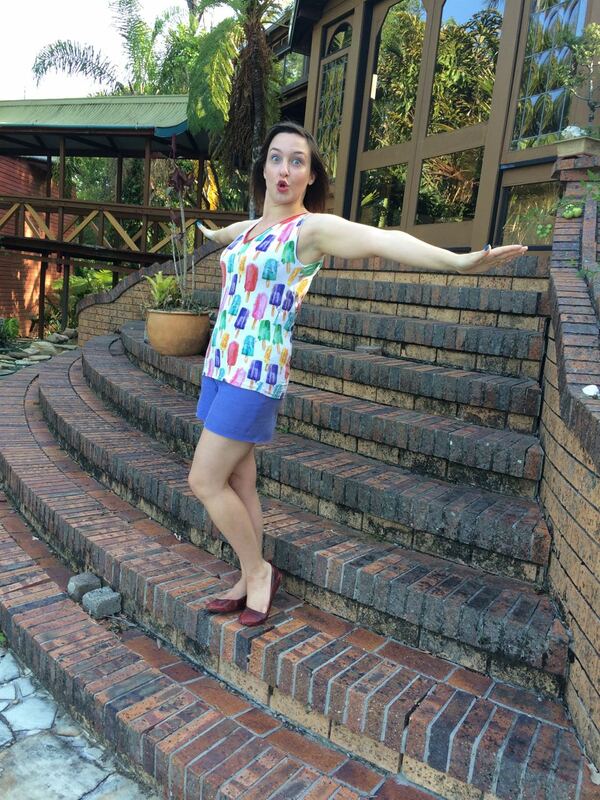 Like Pavlova, Hummingbird is a jersey top and a woven skirt- and of course, always with pockets. Unlike Pavlova, Hummingbird is a “meatier” concept to create a more formal ensemble. The top is the popular and flattering peplum cut, but don’t expect your garden variety peplum from this 1940’s obsessed pattern drafter! The cut will work with lighter fabrics as a top and also for heavier sweater knits. 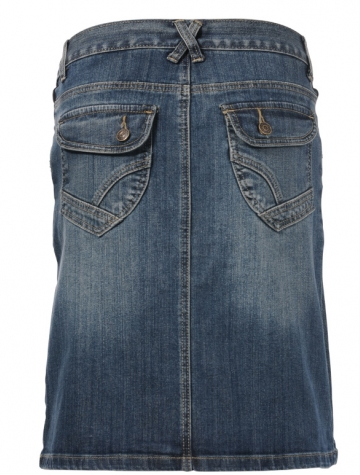 The skirt is slim cut with no gape pockets, a contour waistband and a circular cut back flounce with lapped seams. I’m engineering the construction to be “semi-couture,” but left an escape hatch for beginners and impatient intermediates. 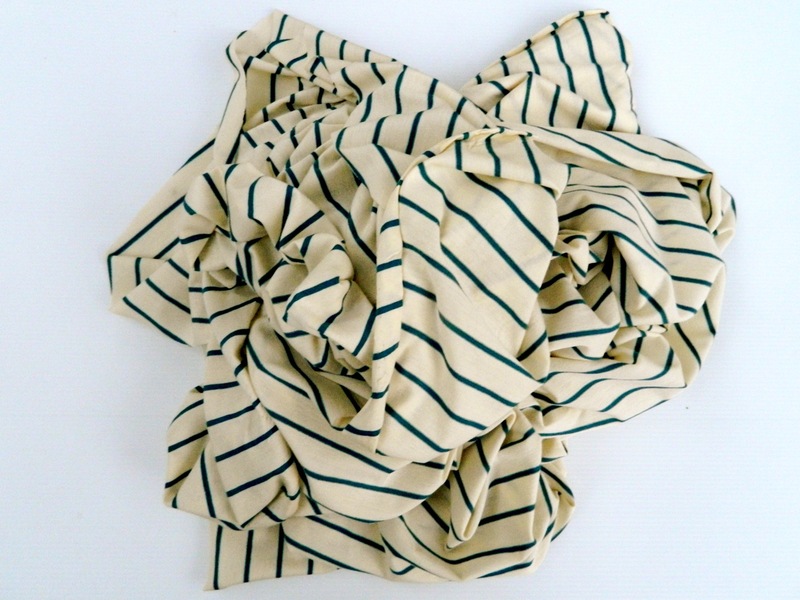 I’m drawing heavily on inspiration from European skirt designs from the 30’s. I can’t say a single word more about Hummingbird, I don’t want to spoil the surprise! Lamington’s design happened a few months ago when my husband asked me to engineer him the ultimate Field Ecologist pants- serious cargo type pants he wears while working. He had very particular specifications for pockets, function, and cut. It’s a slim leg pant, but not so slim as to inhibit movement. 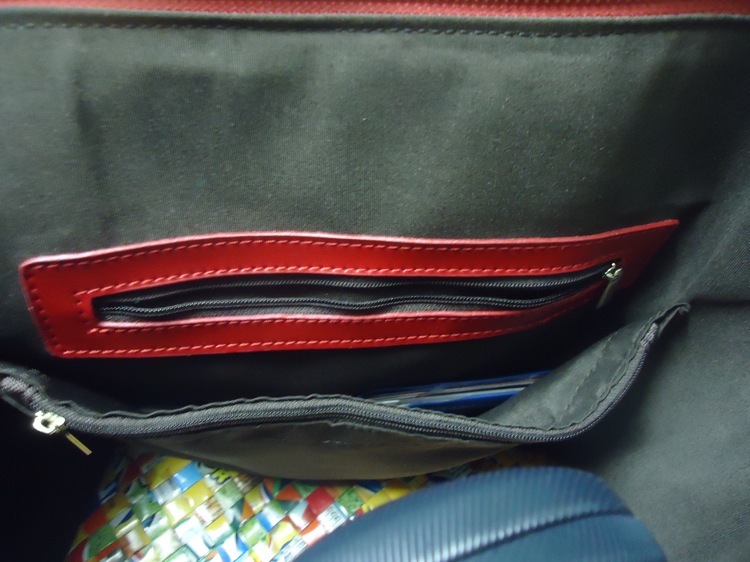 I included such functional details as exposed zippered pockets, adjustable waistband buckles, back pocket detailing and front pockets just deep enough for an iphone but not too deep. I have a huge bag of rivets, buckles, zippers and all the other hardware I could locate because we’re going to be sewing with hammers! I love that, it’s so much fun! That’s right- Cake is branching out into men’s patterns! The best part about the Lamington pants is that all that optional fun stuff can be stripped away to leave a very simple but cool men’s pants/shorts pattern. And since it’s me, and it’s Cake, we’ll draw you a simple map to sort out the design details so you can customize to your heart’s content. I don’t know about you, but I often steal my husband’s pants. Rest assured, I’m stealing his pants pattern too and will show you how I “girly-fy” the Lamington pants. Last year, I asked you all to go dig out your tape measures and contribute to my Hips-to-Waist Ratio survey. I’ve played with the data a few different ways since then as I work out the Holy Grail of pattern drafting: a women’s pants grade. 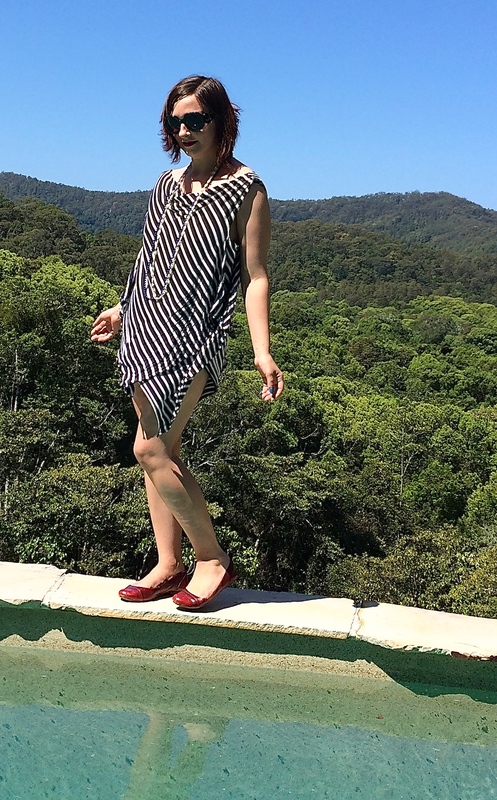 Recently Braless In Brasil asked me to dig around and answer a question for her from my data. I will soon, I love “new” questions. If you missed that survey before then feel free to join in. I’m still adding numbers as they come in. As happens, I sat down to write a single post and discovered I had material for two. 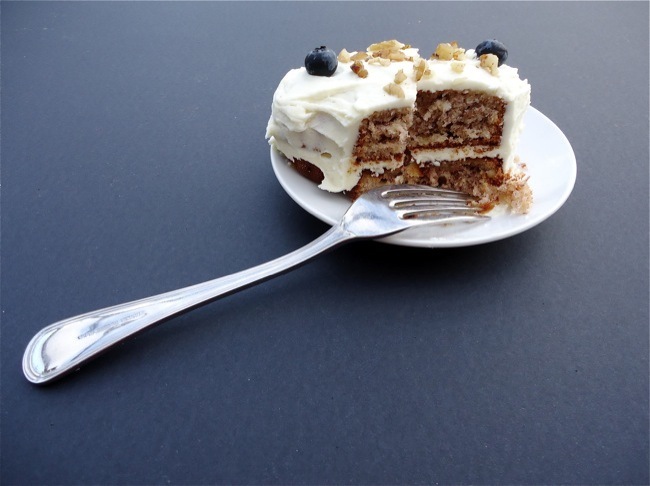 In the next post, I’ll tell you what’s going on with some other Cake projects- namely the Petit Four projects and the Cake Riffs, as well as my teaching/events line-up in Brisbane for the next few months. What do you think about all of that? Tiramisu and Pavlova and Hummingbird and Lamington! I’m still twiddling and refining the last two patterns, so if you have a workwear or cargo-pants “wish list” do let me know…! It’s been too long since a Conversant In Color post! I still have a few color concepts rattling around in my brain that won’t go away, so I thought I’d pick up the series by exploring the color choices of Michelle Obama, the First Lady of the United States. It’s nearly Election Day! I always found elections exciting times, even when I was a little kid. While I don’t live in the U.S., I am aware that this presidential campaign has been vitriolic. 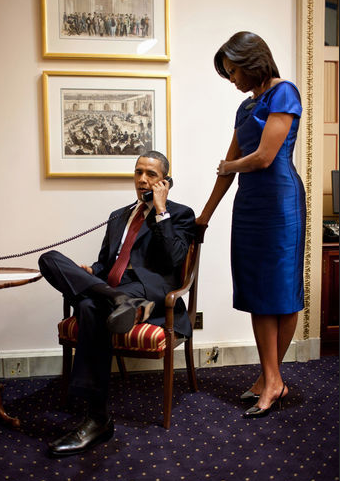 Please, let’s let that go for a little while and simply take a look at how the First Lady uses color. 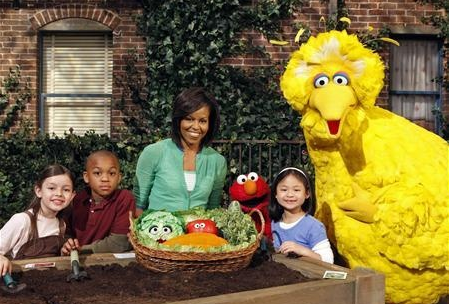 Mrs Obama and I have radically different coloring, climate, and performance needs (when was the last time *I* had the Chinese Prime Minister to dinner? 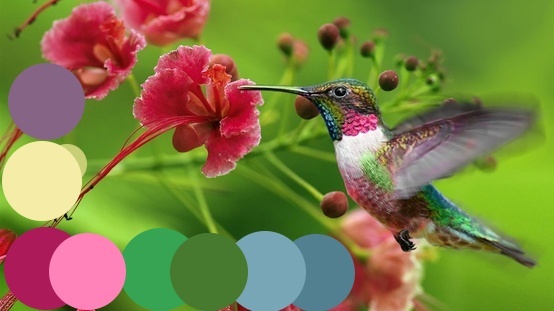 ), but after much digging in Google Images I realized we have some similar ideas on color. For one, she doesn’t shy away from using color freely in her wardrobe. 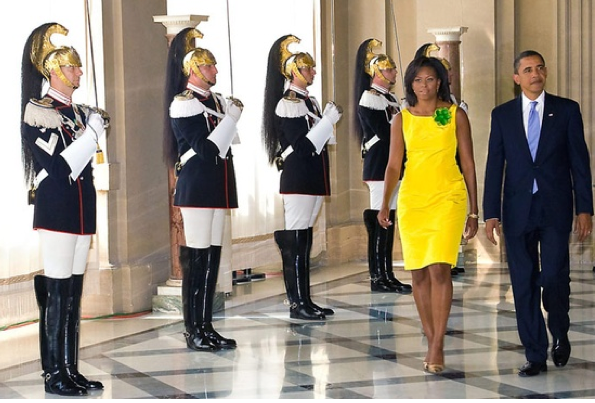 Naturally, she wears black and white and beige neutrals like anyone else, but for events ranging from state dinners and goodwill tours abroad to “mom-in-chief” moments and awareness campaigns, the First Lady turns to colors she knows she can rely on. I like these colors together. On her! Orange, what looks like a full maxi skirt… Oh swoon…! 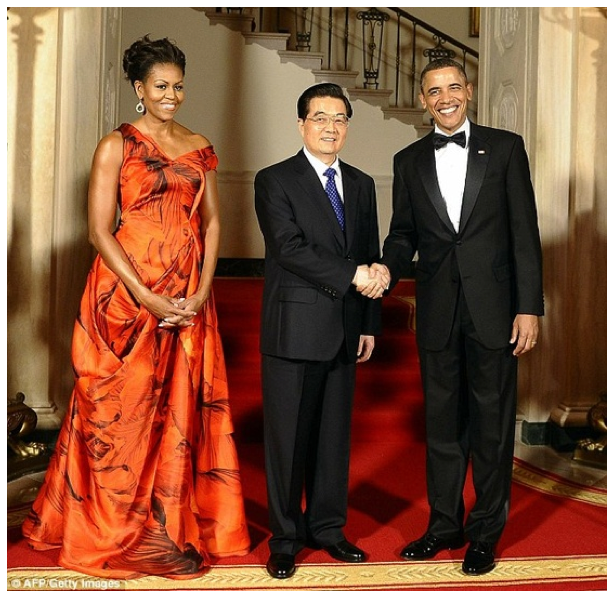 She carries herself so well- next to her, two of the world’s most powerful men (Hu Jintao, Barack Obama) look like mere politicians. She is regal- and doesn’t deny her height by slumping over. The lesson here- if you’re going to stand out in a crowd, then own it. 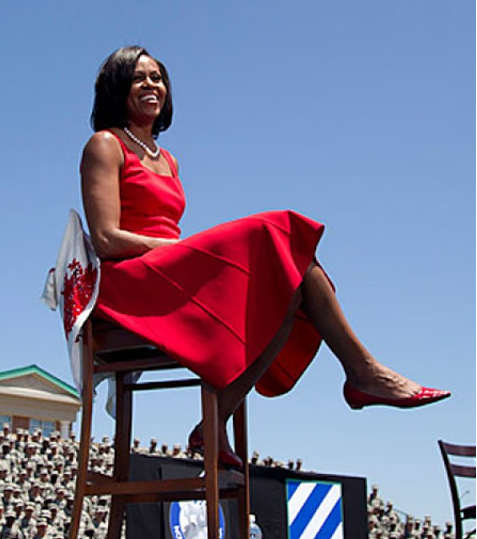 Here, the First Lady stands out for her height and skin color, two unchangeable physical attributes. 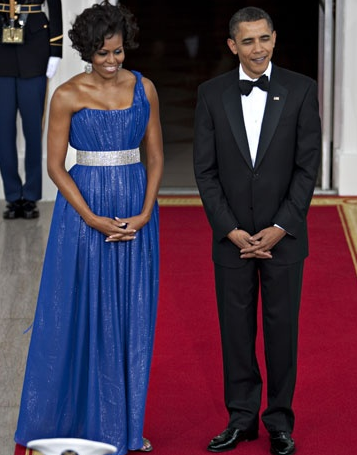 She shines in this sapphire frock. The same dress, after hours. Head-to-toe, every inch a lady. 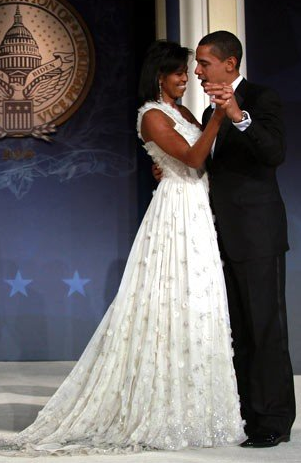 The First Lady. 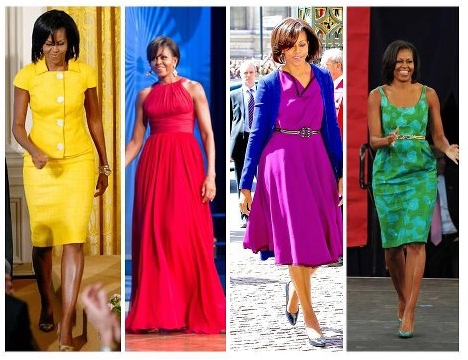 I gathered all these images to show the First Lady’s “go-to” color palette. When thinking about use of color in the wardrobe, it’s easy to think of clear divisions between “warm” and “cool” coloring. 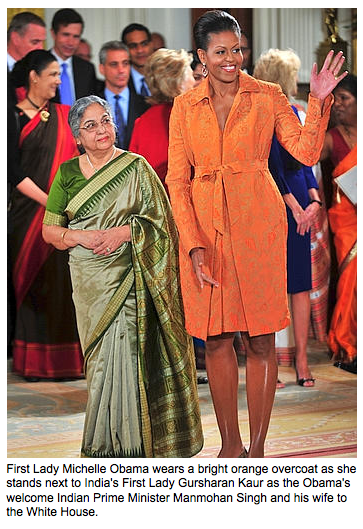 Mrs Obama’s palette does not easily fall into these categories- check out the way she wears both blue-purples and red-purples equally well. However, it is important to note that all of the colors we’ve looked at share a common trait- they are clear and/or brilliant. I’m no expert on dressing darker skin, but to me it seems the more saturated colors work incredibly well with her depth of coloring. 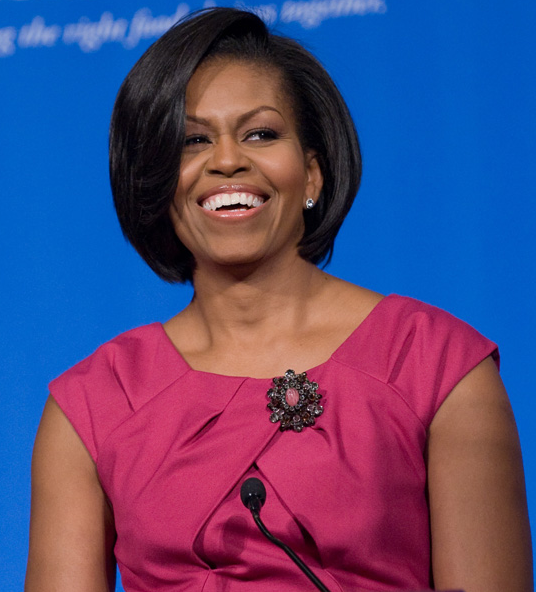 For the First Lady, the important factor in choosing color is not “warm” or “cool” as much as wearing colors as rich as her natural tones. She also looks very well in plain color or clear abstract patterns. This is a good trick to remember regardless of your personal coloring- try matching the saturation of the colors you wear to your natural coloring. This may or may not suit your personality, but it’s likely you’ll discover new color-friends this way. 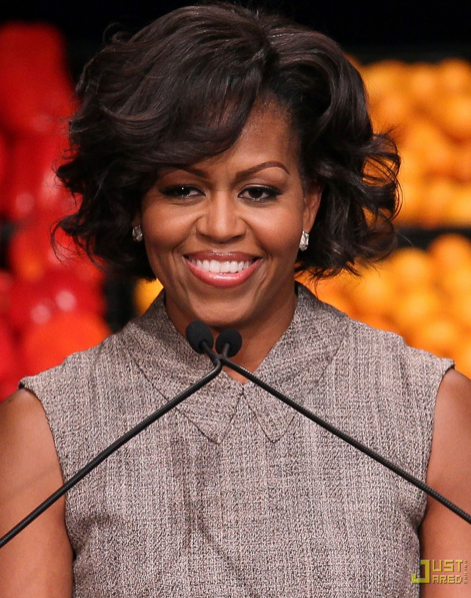 Gray is a great “invisibility” color for the First Lady. A quietly flattering blending-in color, like we talked about in the Separates post. 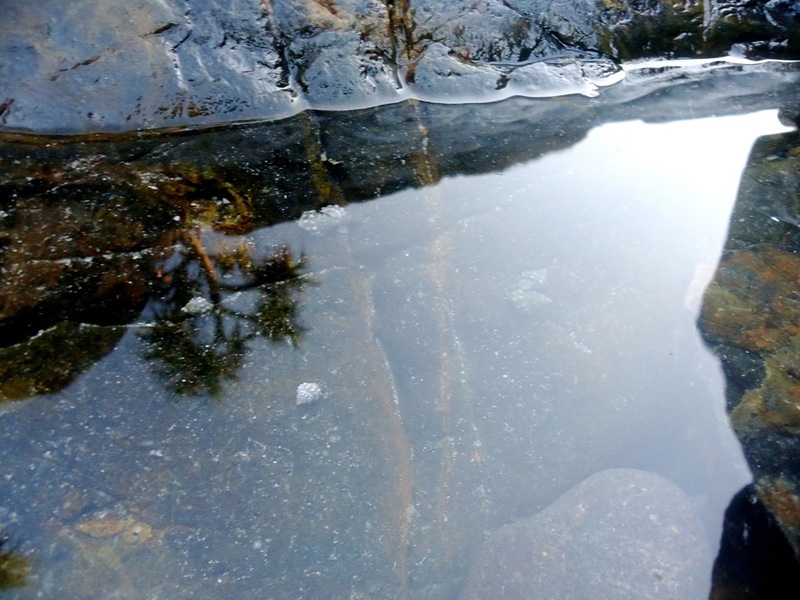 We all need a little invisibility sometimes, right? 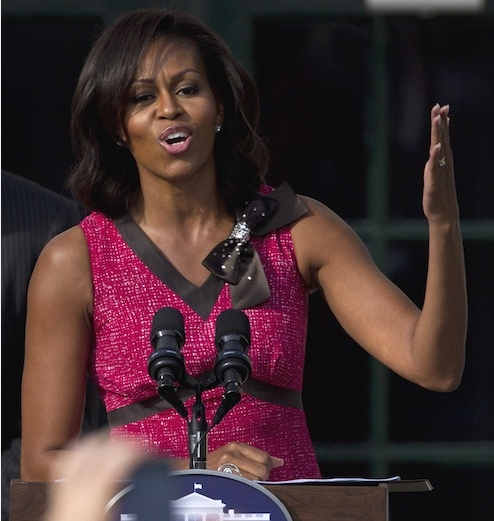 Out of many possibilities, I chose this dress to illustrate my point about the First Lady and her color choices. Each individual color on this dress may well work for her- worn separately. 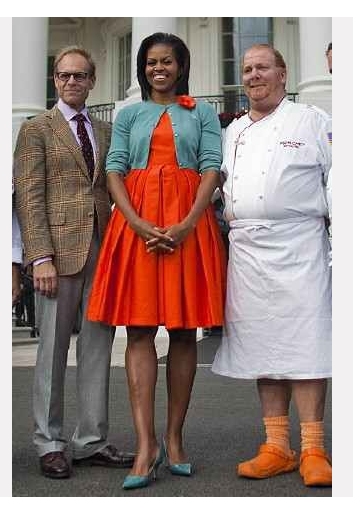 They’re perhaps a trifle bland for her, a little washed out. 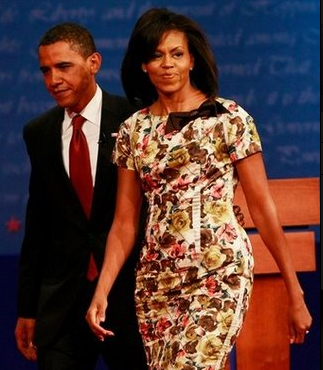 The print is not my taste to begin with, and I’m not sure it really does the First Lady any favors. Some have dubbed this the “slipcover dress,” but I think that’s rather rude of them. Even if it isn’t her best look. We can’t win them all! 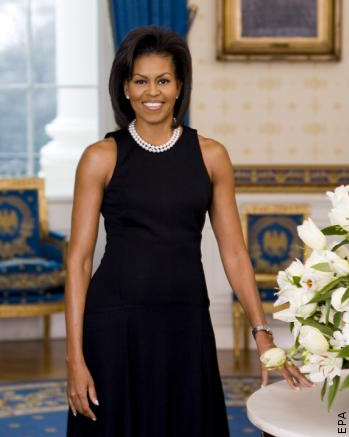 First Lady Michelle Obama injects more glamor into the White House than it has seen since the days of Jackie Kennedy. She’s not a pampered socialite, she’s not a model, she’s not a young woman in years despite her athleticism and vigor. She’s a normal woman who does the best with what she has. I think that’s why I admire her so much- because she’s a woman who quite obviously does the very best she can with her life and the opportunities she has. This goes beyond clothes. I know it’s easy to get caught up in all the noise and conflicting opinions surrounding the election, but I keep going back to that- we can vote, we have our nation and our rights because of the struggles of those who have come before us. This is no small thing. People died so we can have what we have- and what are we doing with our hard-won rights? 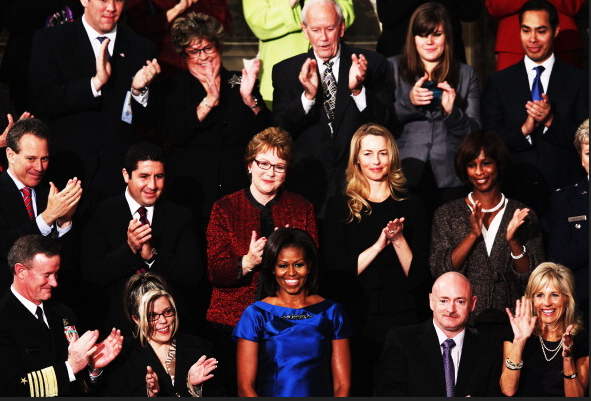 It’s not just heros and legends who make our history, it’s the ordinary people the First Lady speaks of who looked around at their world and thought they could make it a better place. We can make our world a better place. At the risk of being bossy, please vote, Americans. 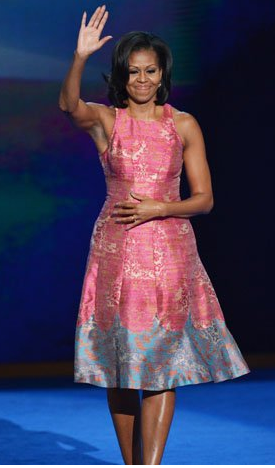 It’s your choice who you vote for, not mine (I voted a few weeks ago), but vote because the simple act of exercising your rights validates those unyielding struggles of which the First Lady spoke. What do you think? 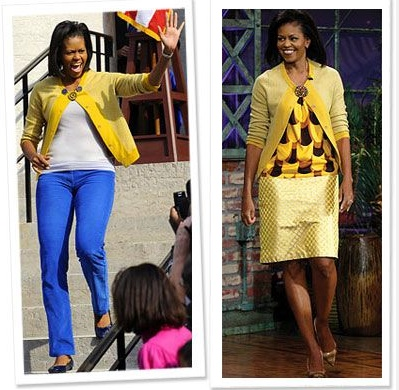 Saturated colors best on the First Lady? Which is your favorite dress? Did I leave one out you love? Which one? 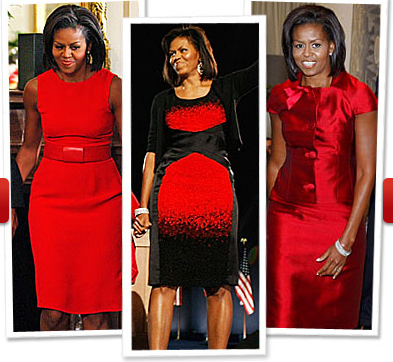 I have other Color concept posts, but it was fun to cyber-stalk the First Lady and tease out her color theories… Should I do someone else next? Who?